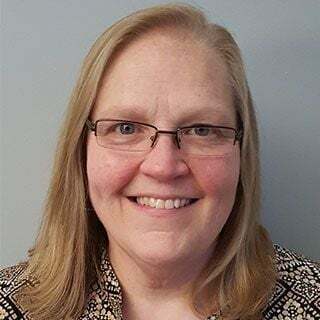 Marcia Erickson is an Independent Contractor at ERC and specializes in Microsoft® and proprietary software training, database development, data mining, and more. Marcia Erickson is an Independent Contractor at ERC and is the founding partner and president of Datsmarts—a Cleveland based company specializing in Microsoft® and proprietary software training, database development, data mining, dashboards and documentation for businesses and non-profit organizations of all sizes. For over 30 years, Marcia has specialized in helping organizations streamline, consolidate and improve their efficiency by providing either training or application solutions tailored to their specific needs. Marcia has an extensive training background with the Microsoft Office Suite. This includes the standard applications—Microsoft Word, Microsoft Excel, Microsoft PowerPoint, and Microsoft Outlook—but also extends to Microsoft Access, Microsoft OneNote, Microsoft SharePoint, Visio and Microsoft Project. For the last 10 years, Marcia has specialized in data mining and provided reporting options with dashboards, pivot tables and custom interfaces. In addition to training and data mining, Marcia has also developed several standalone SQL Server based applications with Visual Studio and VBA. The wide array of systems includes Medicaid billing, litigation management, IEP, transportation and client information applications. This broad background has given Marcia a solid understanding of design and implementation and also the ability to bring that experience back to the training environment.